This is a wrap with beef, cheese sauce and 3 cheeses inside – for just £1.49! 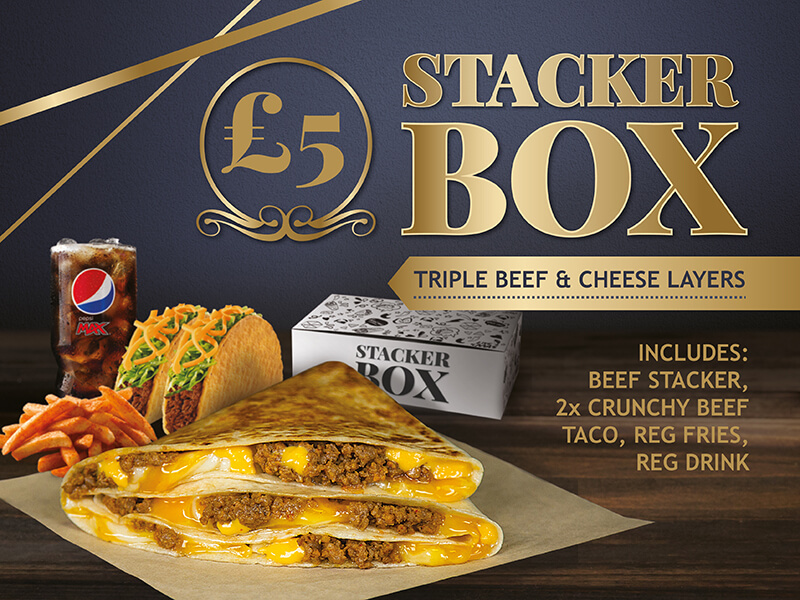 We also have the Stacker box meal for just £5, which includes the Stacker, 2 Tacos, a side and a drink. Limited time only until 20th March.